I recently got a slow cooker and realised I didn't have a clue what to cook in it, so I set up the Slow Cooking Challenge. It was a little bit special, because I had two amazing prizes to give away. 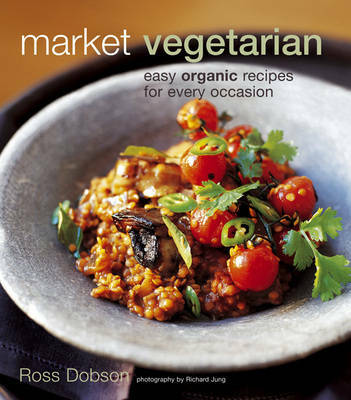 A 4.5 Litre Flavour Savour Slow Cooker courtesy of Morphy Richards and a copy of Market Vegetarian by Ross Dobson, courtesy of me. I had high hopes of a great roundup of recipes, but my challenge didn't inspire many of you, however the fabulous few it did inspire came up with some pretty darn tasty recipes. I should have decided on the winners last weekend, but there were two dishes in particular I couldn't decide between, so I needed some time to think about it. They were both very different and I loved them both, but I managed to decide on my winners in the end. I was very impressed by Rose. As well as coming up with a really delicious recipe, she also give the recipe instructions for cooking the curry in both a pot and a slow cooker. This is one dedicated blogger. Rose chopped tomatoes, spring onion and coriander and popped them in the fridge until she needed them, then she slow cooked the lentils with spices, wine, stock, tomatoes, vinegar and lime juice. She finished of the curry with a stirring of yoghurt before mixing in her tomatoes, spring onions and coriander. I thought it was a great idea, to have softly cooked ingredients alongside some crunchy fresh ones. Michelle's dish is inspired by a similar dish her friend DS used to make. She said it was always perfectly cooked and beautifully spiced. When she couldn't find the recipe, Michelle decided to come up with her own version. 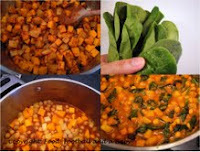 Butternut squash, potatoes, chickpeas & spinach, flavoured with garlic, ginger and chilli, spiced with madras curry powder and finished off with some coconut milk. What's not to love? I will quote Harini, as I have never come across a dessert quite like this one. I was very intrigued to read the recipe. 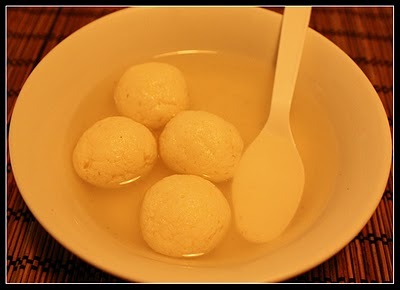 "Rasagulla's are spongy paneer balls soaked in sugar syrup. It is a popular sweet in Northern India." Milk, lemon juice, water, sugar, sugar candy (or boiled sweeties for those of us in the uk)- one for each rasagulla and cardamom powder. This is why I love challenges so much. You always meet some great new bloggers and get some great ideas. Mangocheeks based her dish on the South Asian dish Gol Guppay, which is a puffy crisp pastry shell filled with tamarind flavoured chickpeas and potatoes. 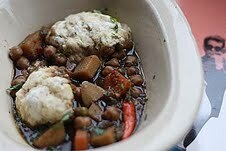 Instead of making her dish in a pastry shell, she turned it inside out and cooked the ingredients as a stew and topped it with cumin speckled dumplings. Potatoes, carrots, onion, peas and chickpeas, spiced and flavoured with coriander seeds, cumin seeds, garlic, red chillies, fresh ginger, turmeric and vegetable stock. Mmmmmmmmm :P followed by *drool*. Sounds wonderful, doesn't it? This was my first attempt at using a slow cooker and I was suitably impressed, although I was disappointed I didn't get that second day taste, on the day of cooking. Unfortunately, you still have to wait until the next day to appreciate the full flavour of the dish. I am pleased to tell you that day two it was brilliant. There is only one change I would make. Next time, I would cook the halloumi separate and add it in the end. It went very soft in the slow cooker and I wasn't keen on the texture. I used my slow cooker's short browning cycle to saute the onion and garlic in the oil and spices, before adding the other vegetables and sauteed them until the end of the cycle. Next I add the tinned tomatoes and stock. Then I added in the wine, chickpeas, lentils and halloumi. (I added the to the stew to cook, but next time will cook it separately and add it at the end). I then set my slow cooker to cook gently for 6 hours. I served this stew at the request of my husband, with mashed potato, but it would be good with rice too. And now onto my winners. My first winner is Michelle from Food, Football & a Baby with her Chickpea Squash Stew. This stew just sounded so warm, spicy and comforting. I just loved it straight away and Michelle used ingredients that are some of my favourites. Michelle wins the Market Vegetarian Cookbook. I just hope she enjoys it as much as I do. I would really love to give Michelle a slow cooker, but unfortunately she now lives in Canada, so it is impossible. 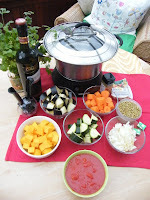 My second winner and winner of the Flavour Savour Slow Cooker is Mangocheeks who blogs over at Allotment 2 Kitchen. I loved that Mangocheeks thought to add dumplings to her wonderful Slow Cooked Tamarind Vegetable Pot, near the end of cooking time and flavouring them with cumin was a neat idea. So congratulations to my winner and a huge thank you and round of applause to Rose and Harini whose dishes were also wonderful. It was such a hard decision to make, I just wish I had a prize for each of you. You can find out more about the Flavour Savour at Home of the House Proud and for more food challenges, giveaways and competitions you need look no further than The Food Blog Diary. Lovely round up Jac, and I actually can't believe I won... I am really looking forward to 'Market Vegetarian'... as you know Kay and Aditi are veggie, so it will give me lots of inspiration. I am looking forward to trying out some of the recipes out here. 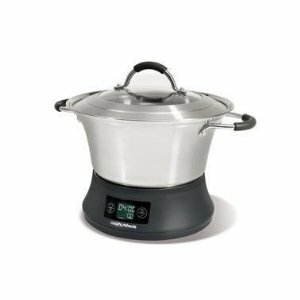 Also, you'll be tickled to know that the husband is going to buy me a slow cooker soon, as he said that he couldn't possibly deny me the prize :-) Wonder if Morphy Richards sell here, am off to do lots of research now. Looking forward to NCR for April now. Thanks again... I am so chuffed!! Congratulations to the winner Jacqueline. Sadly I only use my slow cooker for pork roasts and ribs, but I see now that there are many delicious veggie options too. 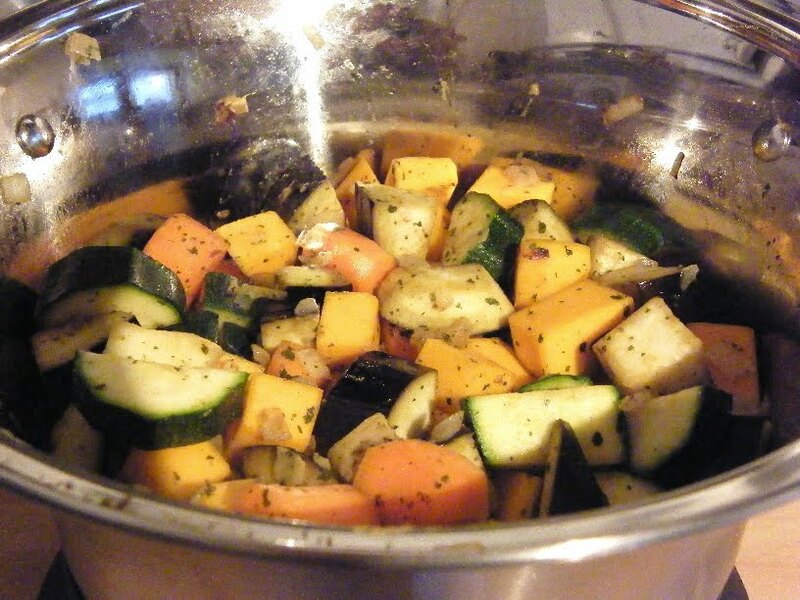 Love my slow cooker, I use it a lot in the Fall and Winter! There's a chili cooking in it right now! I am really pleased you are getting a slow cooker after all Michelle, see it was worth doing the challenge, hubby might not have offered otherwise. I do hope you enjoy the cookbook. It has been ordered and should be with you between the 1st and 6th of April. I never really thought it would be any good for veggie meals Val. Stupid really. I would have realised there is plenty of options if I had just thought about it properly. Great round-up Jacqueline! Even if I don't have a slow cooker. Lots of ideas here! Better you than me Ren, I was always terrified of my mum's, it always seemed on the verge of exploding. Now I have to say I am absolutely gobsmacked I won your Slow Cooker Challenge. I'm really delighted. I so wish you could see the huge smile on my face and the way I am jumping up and down - Imagine a grown woman bouncing on one of those retro space hoppers yelling 'I've won, i've won!' - Well thats me! Thank you so much to you Jacqueline and to Morphy Richards. I would also like to extend my Congratulations to Michelle. She's won not one prize, but two prizes: Market Kitchen and her own slow cooker compliments of her husband. I never bothered to get a slow cooker as we rarely have meat here and I thought it would just make veggies mushy. Some nice recipes here though! Less steam and smells and no need to keep stirring it. You can also control the amount of vinegar or sugar better by adding it gradually. Great blog! I haven't visited in a while--our lives here in Wisconsin (U.S.) have been disrupted the past weeks with the antics of our governor. 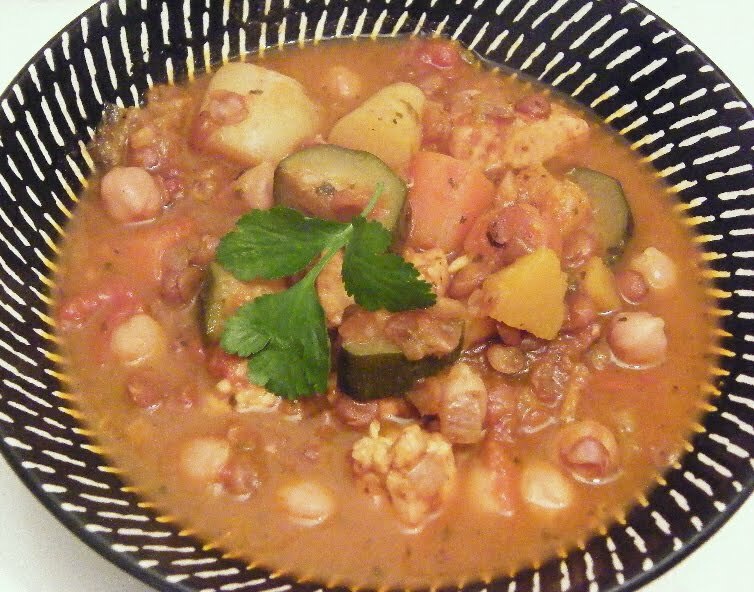 But I wanted to share this slow cooker recipe as a belated addition to your challenge. 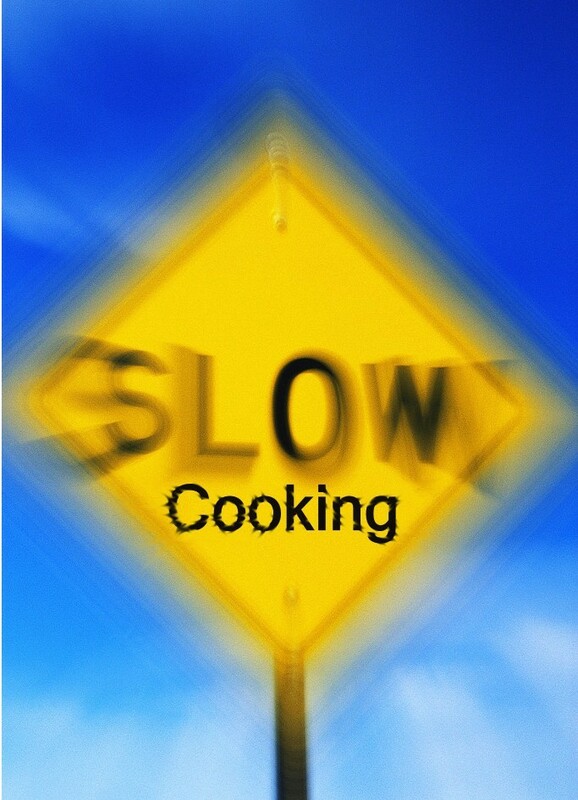 I use the slow cooker a lot, and this is a staple. Each year a friend and I make a big batch of carrot/celery/onion mirepoix and freeze it. When I make this soup, all I have to do is put a packet in for those ingredients. We also have frozen chopped garlic that my husband puts up, and I just break off a bit of that to throw in. No chopping except the potatoes makes this very fast. I always add potatoes and tomatoes. I put in kale if I have it, and use either French green lentils or the traditional brown ones. Everyone who has tried this soup loves it. By Mary Sperling of Newberg, Ore. Directions Put all of these ingredients in the slow cooker. Set it on low if you are leaving it all day, high if you are starting it around lunchtime. You can add potatoes if you want more bulk. Add cubed potatoes at the beginning of cooking if you do. Tomatoes are also good in this dish. Add one 14 ½ ounce can of diced tomatoes at the beginning of cooking if you like. Nice round up. Congrats to the winner..first time here..will check around.. I've never tried using a slow cooker, I've heard people praising it, but it hasnt really convinced me. All recipes here look mouth watering though! I just gave you an AWARD!! Why? Come over @ my latest post & read all about it, Jacqueline! A great round up Jac and some lovely recipes. I won a flavour savour around Christmas, but haven't used it much, partly because I'm vegetarian and partly because you just have to be organised, ahem! But what I'd love to know is can pulses be cooked in it from scratch along with the other ingredients? That really would be a benefit. Glad Michelle got her slow cooker anyway and congratulations to her and Mangocheeks. Some lovely recipes there. I would have loved to enter but could only think of meat-based slow cooked dishes. How foolish of me - I can see there are clearly lots of veggie alternatives and I should really get a bit more adventurous! Thank you for all your comments and recipes too. Fab!